To mark the 45th anniversary of the Apollo 11 mission that landed the first man on the moon, Omega introduced the first ever Speedmaster Moon Watch in titanium, with rose gold accents and an unusual laser etched PVD dial. 45 years after the Apollo 11 spaceflight that landed Neil Armstrong and Buzz Aldrin – with Speedmasters on their wrists – on the Moon in 1969, Omega has created a titanium Speedmaster Professional Moon Watch for the mission’s 45th anniversary. 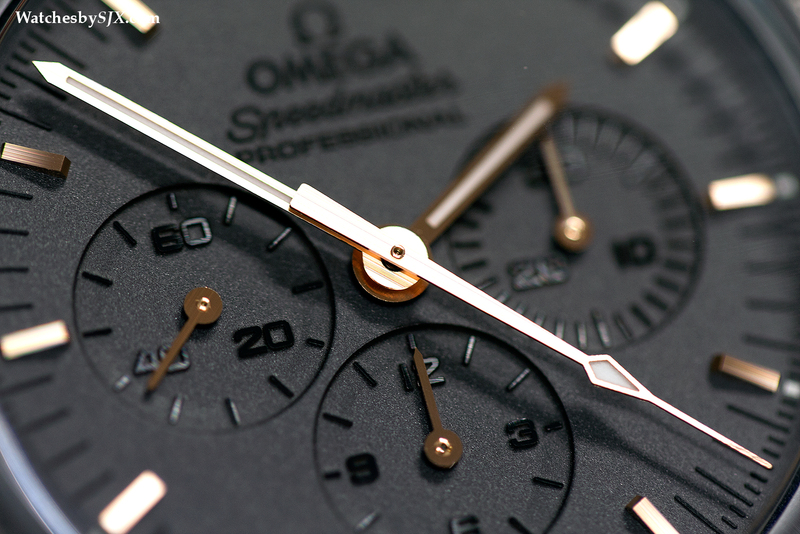 Having marked practically every Moon landing-related anniversary since 1969 with a limited edition watch, Omega has a difficult task in making the next Moon Watch edition significant different. 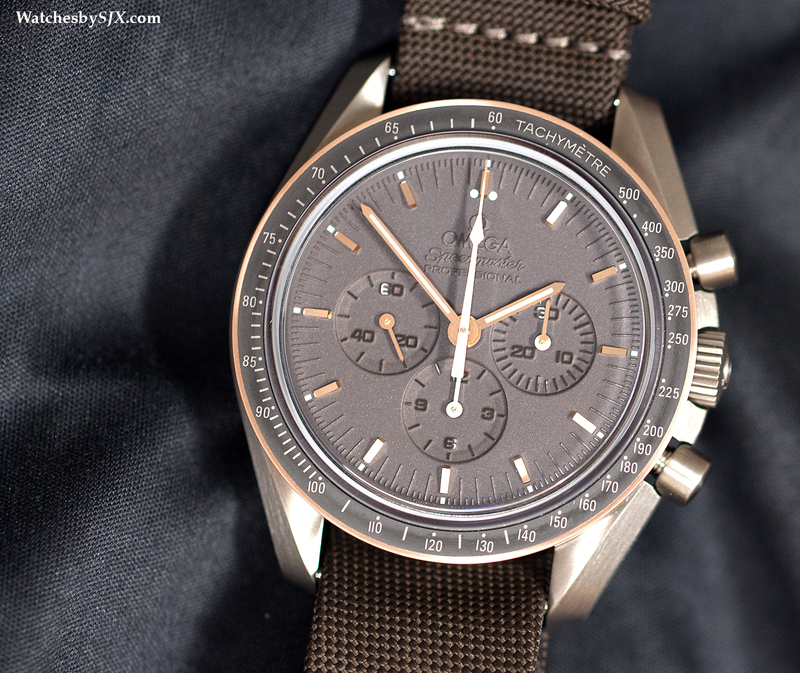 Surprisingly enough, the Speedmaster Apollo 11 45th Anniversary is enjoyably different. The Apollo 11 edition has all the design elements of the classic Moon Watch. 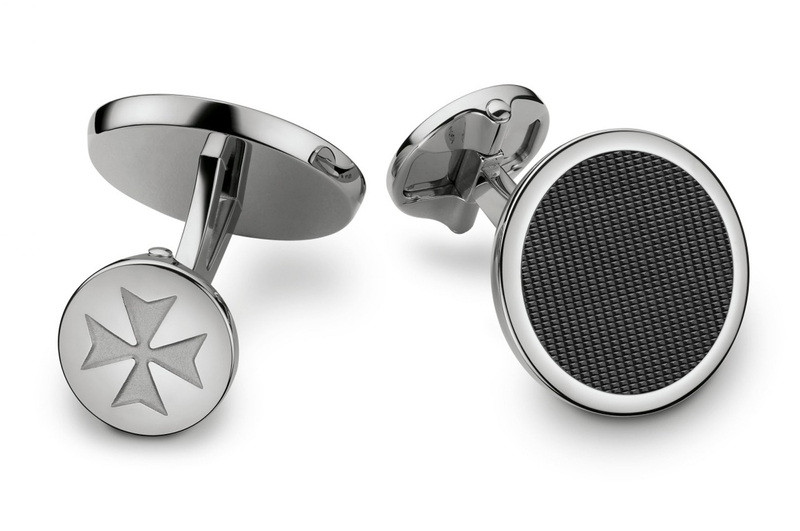 The materials used, however, are distinctly modern. 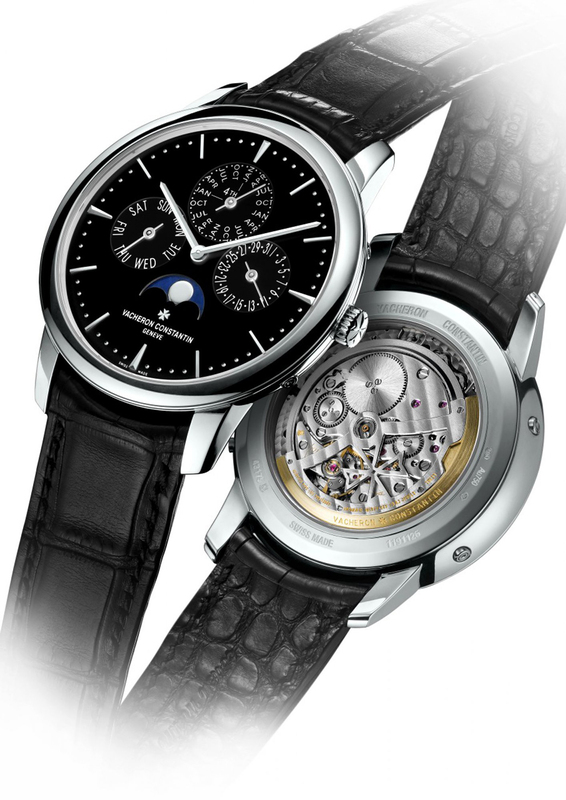 To start with, the case is titanium, the first time the alloy has been used for a Moon Watch. 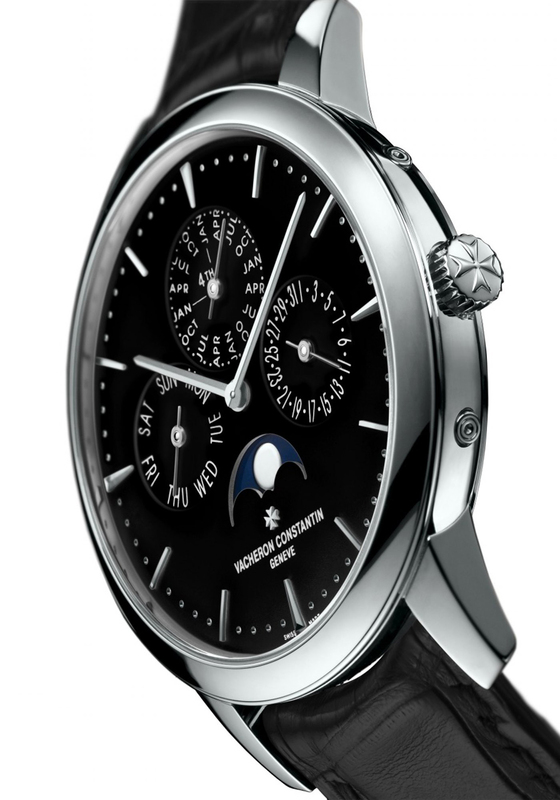 That aside, it is identical to the traditional Moon Watch, with a 42 mm diameter and the signature lyre lugs. 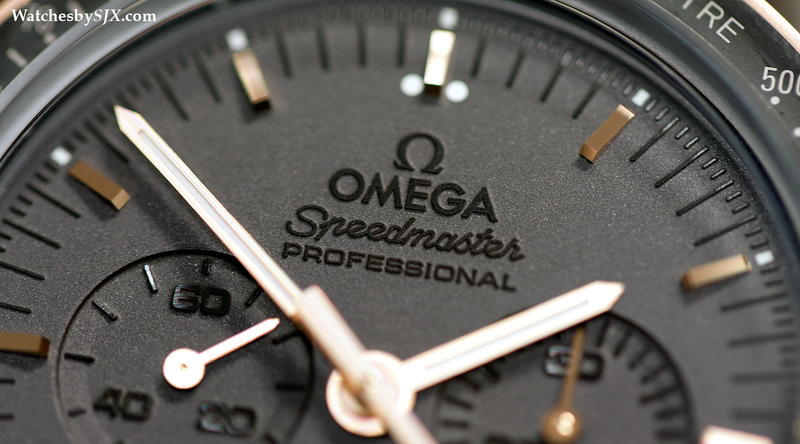 Matte black ceramic is used for the tachymetre insert on the bezel, which is made of Sedna gold, a red gold alloy proprietary to Omega that does not fade with time. 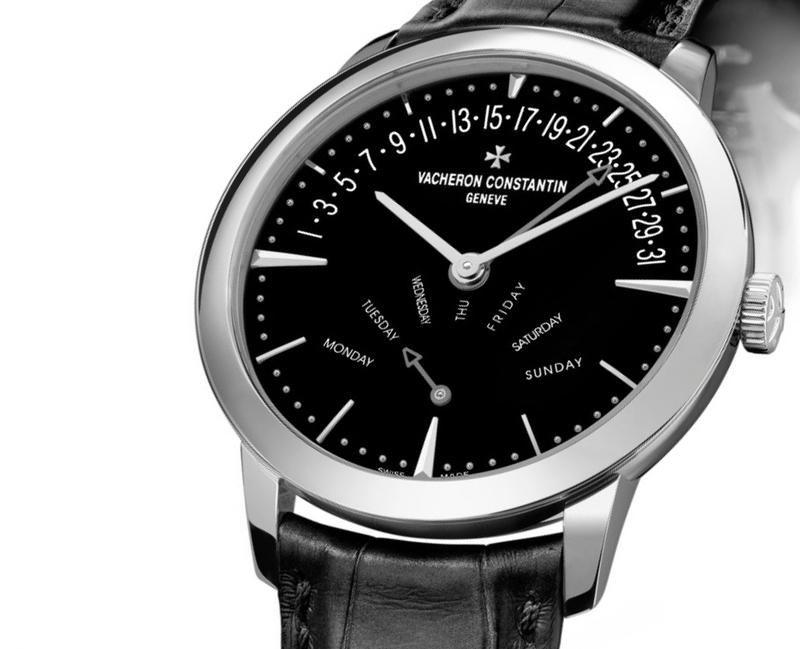 What is most unusual about this watch, however, is the dial. The brass dial blank is first laser etched to create markings and text in relief, then sandblasted to create a grained texture, before being finished with a dark grey PVD coating. 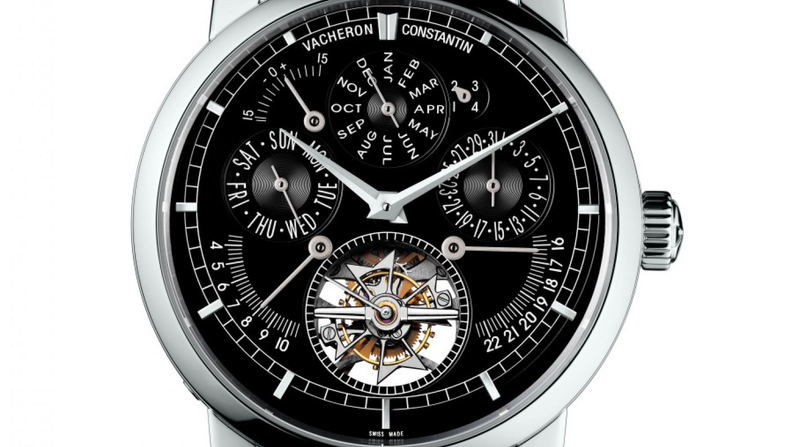 Meant to evoke the surface of the Moon, the dial finish changes colour depending on the light and angle, ranging from grey to brown. 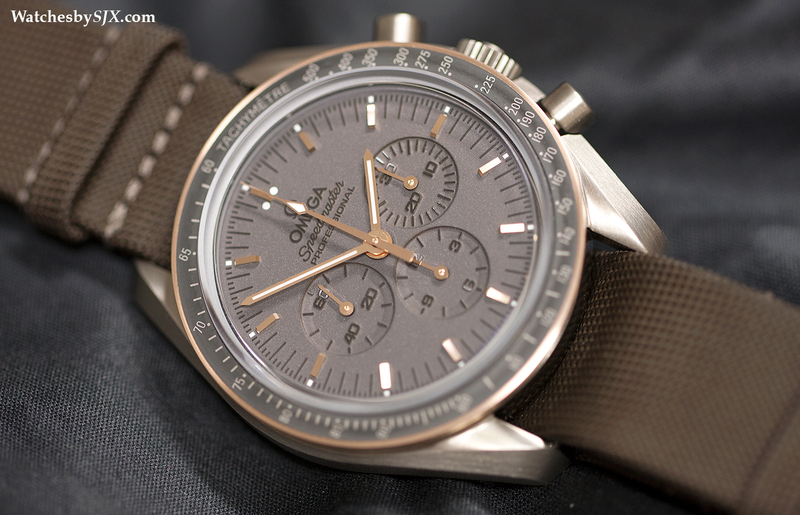 But the colour also makes the chronograph sub-dials almost impossible to read. All the hands and indices are also in red Sedna gold; the indices are wedge-shaped and faceted, making them very legible. Inside is the Omega calibre 861, the same Lemania calibre that has been inside every Moon Watch save for the very first models. 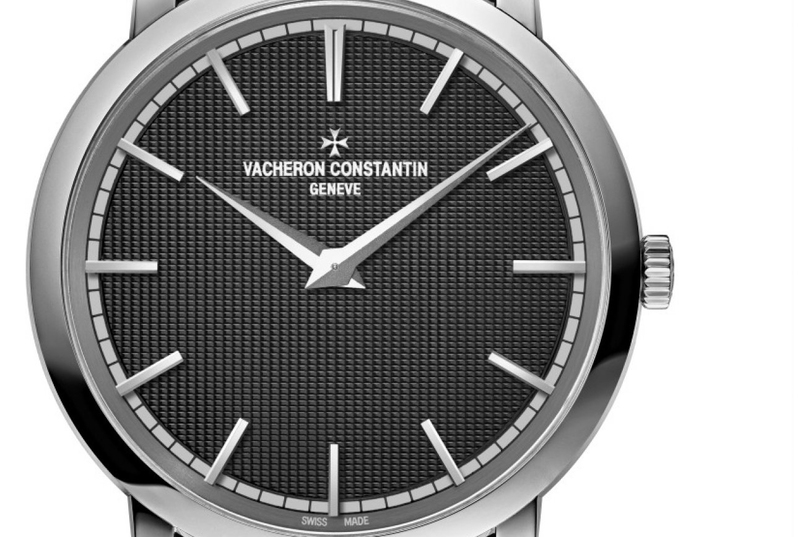 It is hidden underneath a titanium case back engraved with the usual Moon Watch related text. 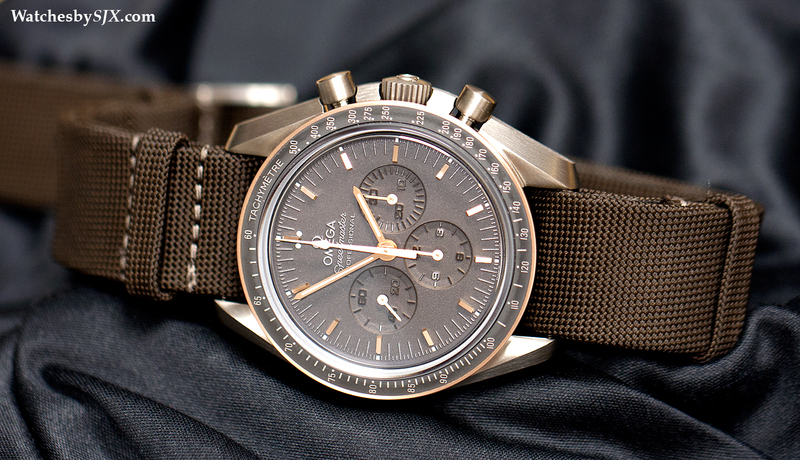 This is also the first Speedmaster to be delivered on a NATO-style canvas strap, in a brown-grey to match the dial. 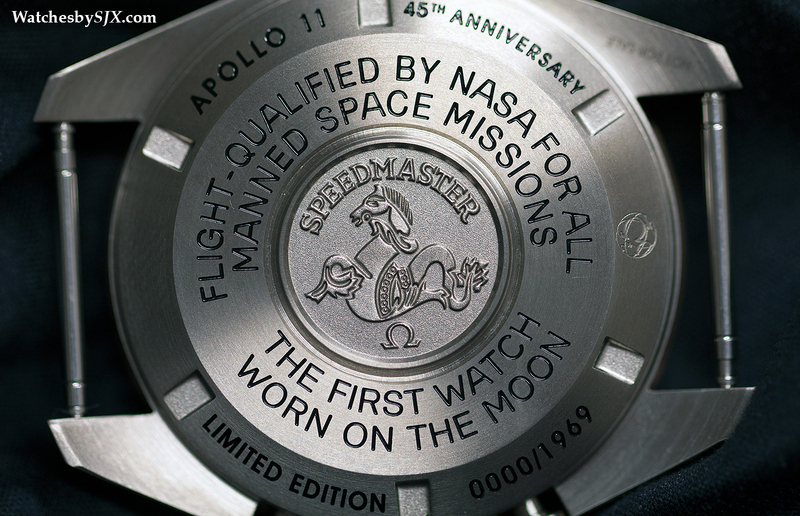 The Apollo 11 45th Anniversary is limited to 1969 pieces with a retail price of US$7700 or 9950 Singapore dollars.